Louise Hartley speaks to independent silage consultant Dr Dave Davies for his expert advice on achieving quality silage. 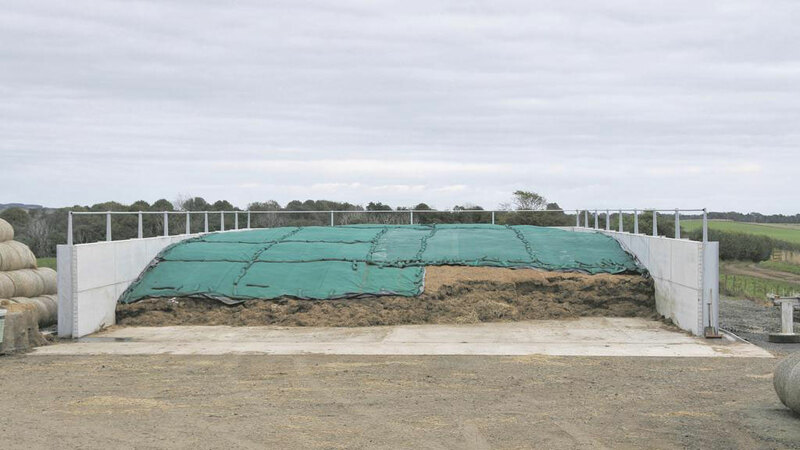 Grass silage is one of the most valuable products on a farm, and although often made in a rush to beat the looming rain, attention to detail when it comes to storage is essential in maintaining quality and feed value. While most livestock farmers will be well into this year’s silage season, Dr Dave Davies of Silage Solutions advises giving some thought to improving the structure of clamps in time for next year, while more immediate thoughts for the 2014 harvest should focus on optimising compaction and protection. Whether building a new clamp or modifying an old one, Dr Davies recommends building the concrete wall at a 5 to 10-degree angle off the upright. The poor clamping and compaction of grass can reduce quality of silage and cause moulding along side walls and top of the clamp. This spoilage can often result in a loss of 25 per cent dry matter, which is one in four loads of silage, explains Dr Davies. The 5 to 10-degree slope can also be achieved in existing clamps using the grass itself. Dr Davies says: “Rather than filling the clamp up flat, make a small ramp of grass at an angle to each of the walls and continue to maintain this ramp while filling. The side sheet should overlap the top of the clamp wall by at least one metre (3.3 feet), preferably 2m (6.6ft), and sandbags should be placed at the edge of the wall along the join of the two sheets to form a seal. This will stop oxygen entering the silage. A side sheet will also help protect the concrete from being dissolved by the acid, keeping the clamp in good condition for longer, says Dr Davies. There is a lot of evidence to show a thin top sheet creates the desired anaerobic conditions in the clamp a lot quicker than a thick black top sheet, and therefore allows the fermentation process to start sooner, says Dr Davies. Some people use the green mesh sheet, but many do not understand how it works, says Mr Davies. To use the green mesh’s weight, the grass needs to clamped into a dome in the centre and sloped down towards the sides. This allows the mesh to be pulled as tightly as possible over the clamp using sandbags along the edge. To be effective, the mesh should be tightened up every day for seven days to ensure there is no slack as grass in the clamp settles. After seven days, the mesh should be at a suitable tension. “I come across a lot of farmers who use green mesh as a flat sheet. This is very ineffective as it does not have much weight and needs to be under tension to do any good. The weight needs to be firstly added by the traditional black sheet before green mesh is used. When using tyres to add weight to the clamp, they must be touching at the bare minimum, says Dr Davies. “In general, the brighter the yellow of the silage, the better the fermentation quality. 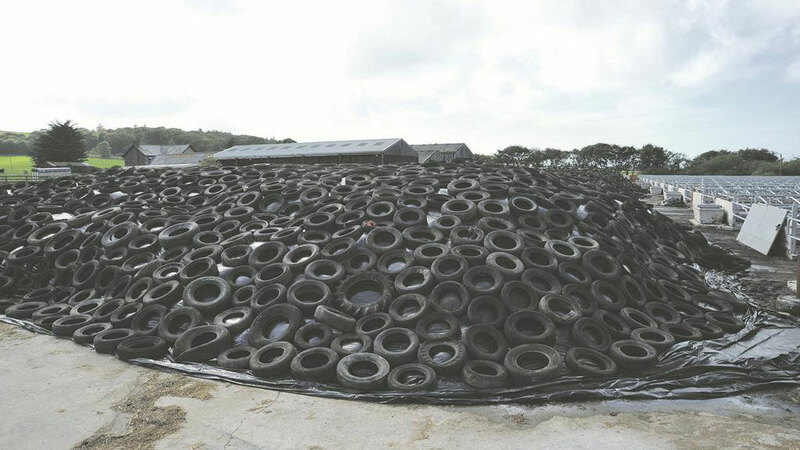 If you take the top sheet off a well-made silage clamp which has used tyres, there is often a ring of yellow where the tyre has been touching the clamp. “Ideally, there should be as much weight as possible, spread as evenly as possible, and you might want to consider mats or clamp tiles to achieve this yellow colouring over more of the clamp. “If using an indoor silo, you could stack straw bales all over the top, but be wary of rats. If the silo is full of maize or wholecrop, using straw bales is not recommended, as rats are very partial to both crops. The advantage of an inside clamp is grass does not get rained on during feed-out, but this can also be avoided in an outdoor silo by building it out of the prevailing wind and using the top sheet to form a gutter. The main issue with an indoor clamp is overfilling, says Dr Davies. He says: “Compaction can often be very poor in indoor silos. If the large volume of grass means the tractor cannot get onto the clamp to roll it adequately, it may be more effective to big bale the last few loads of grass. This will mean you can keep the level of grass in the clamp low enough below the roof to ensure good compaction. British farmers are generally poor at compaction density, says Dr Davies. He says: “Compaction not only comes from top sheets and added extra weight, but the most important part of compaction should take place when each load is coming in. “Grass should be applied in layers of six to nine inches, with nine being the absolute maximum. Grass should then be continuously rolled as loads come in and are layered into the clamp. “If layers are thicker than nine inches, you will not be able to compact the whole layer, and therefore air pockets will form. Air within silage encourages aerobic deterioration and allows more sugars to be converted into carbon dioxide and water, not acid which is required to pickle and preserve silage. If feeding out from the clamp all year-round, keep the open face out of the mid-day sun, advises Dr Davies. The sun’s heat will warm up the silage and cause increased problems of heating and aerobic spoilage during feed-out, reducing the energy content of the silage. However, never cover the clamp face during feed-out, as this acts like a greenhouse and increases risks of spoilage even more, he adds.